 We have updated the paper recipe and improved the way, which we used to apply gold flecks on this paper. 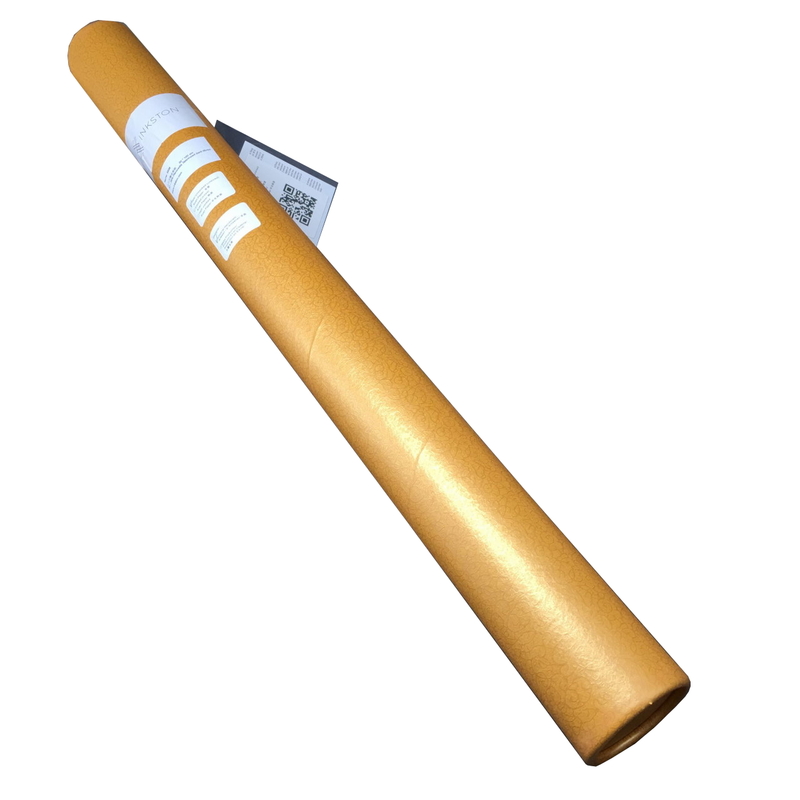 The new paper you will see has very fine gold foil attached on the paper surface. 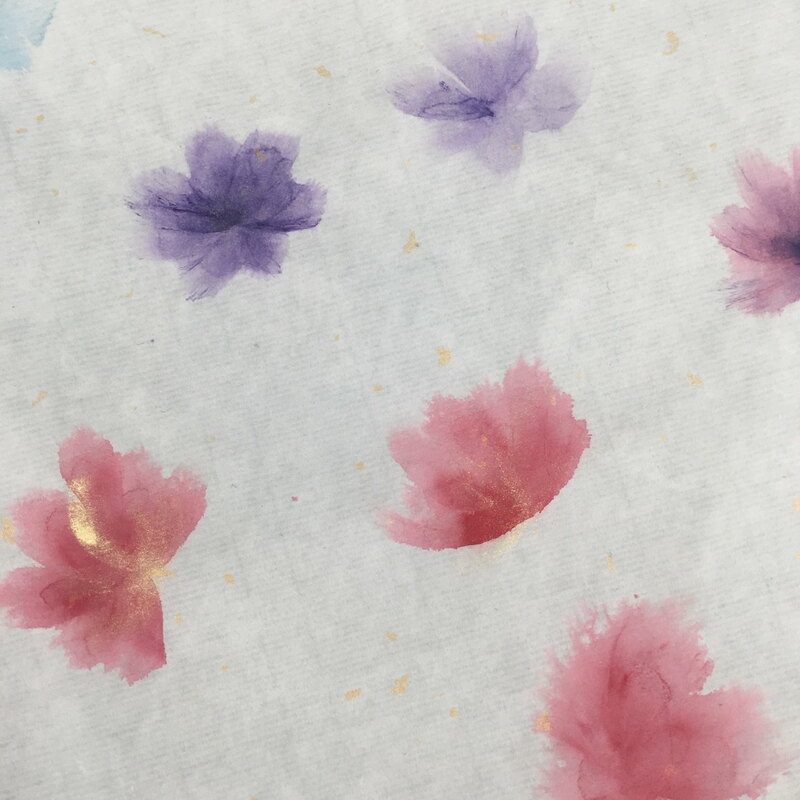 This updated recipe makes the gold fleck xuan paper much more lux and mysterious. Size: 70 * 138 cm. Materials: 灯心草 Juncus effusus rushes and 硬质早熟禾 Poa sphondylodes Trin, gold foil. Suitable for all types of paintings and calligraphy. 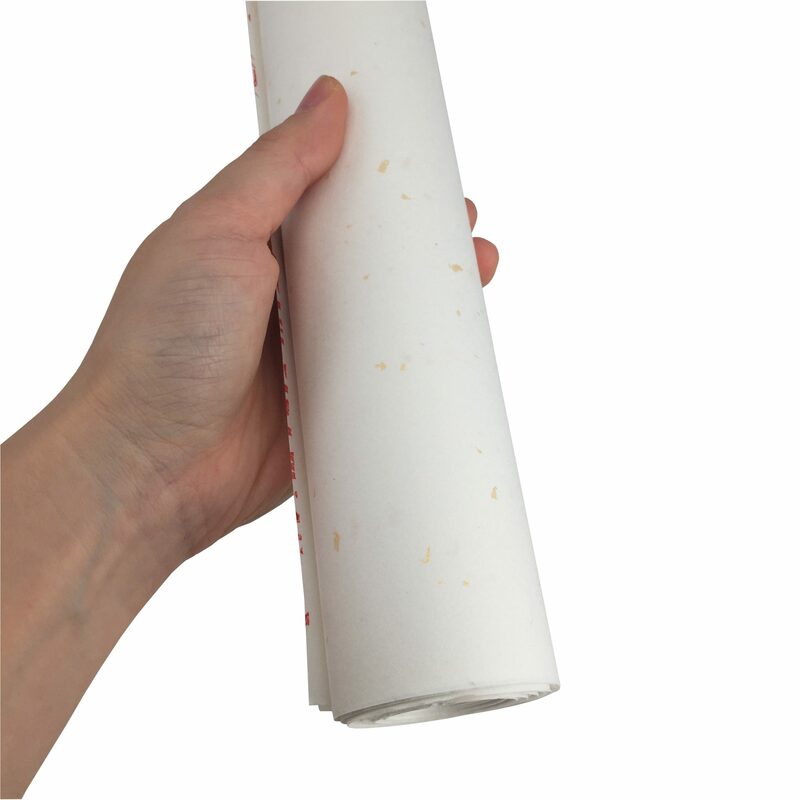 Finish: the paper is half-sized and the absorption rate is lower than raw Xuan Paper but higher than sized Xuan Paper. 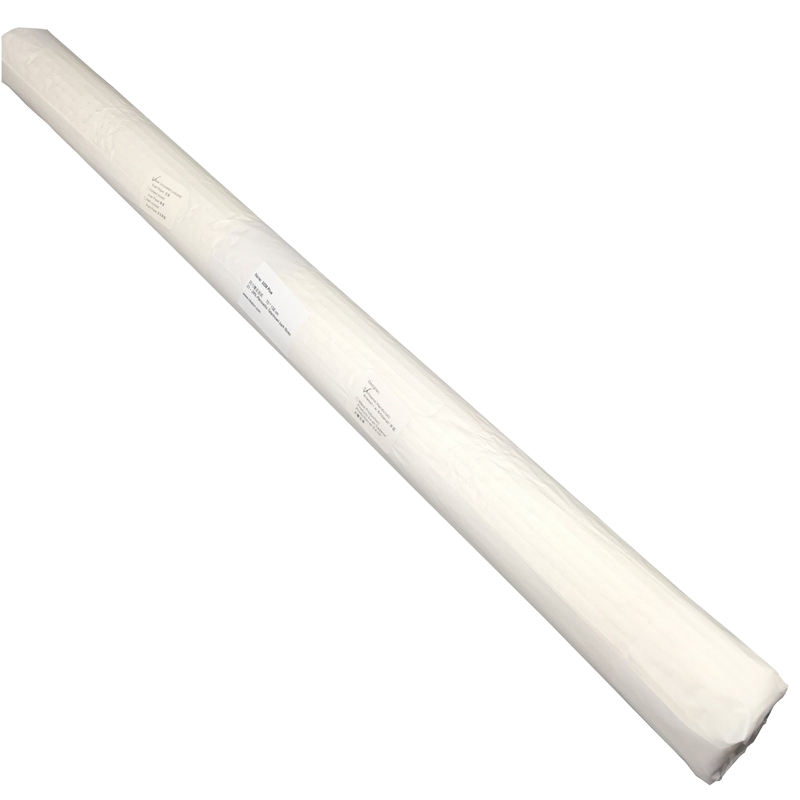 This is fine 32gsm paper, in large 138x70cm size (I sheet has a surface area equivalent to 15 sheets A4). 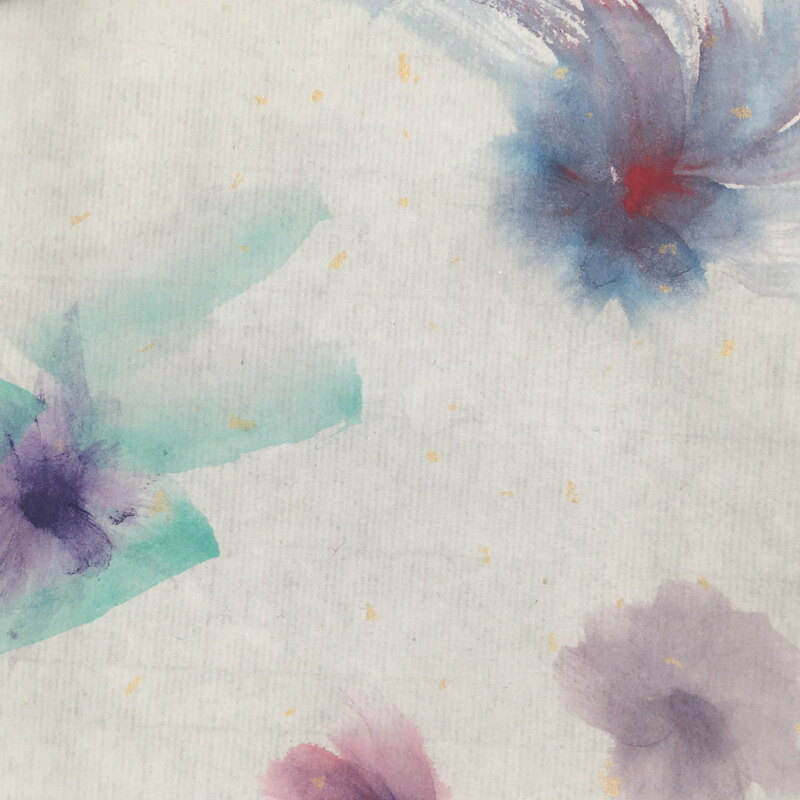 This pack of paper is handmade at the ancient Xuan Paper workshop featured in Xuan paper making – a Unesco intangible heritage. For more information about Xuan paper types and usage see Chinese Xuan 1,000 year old Truth paper. 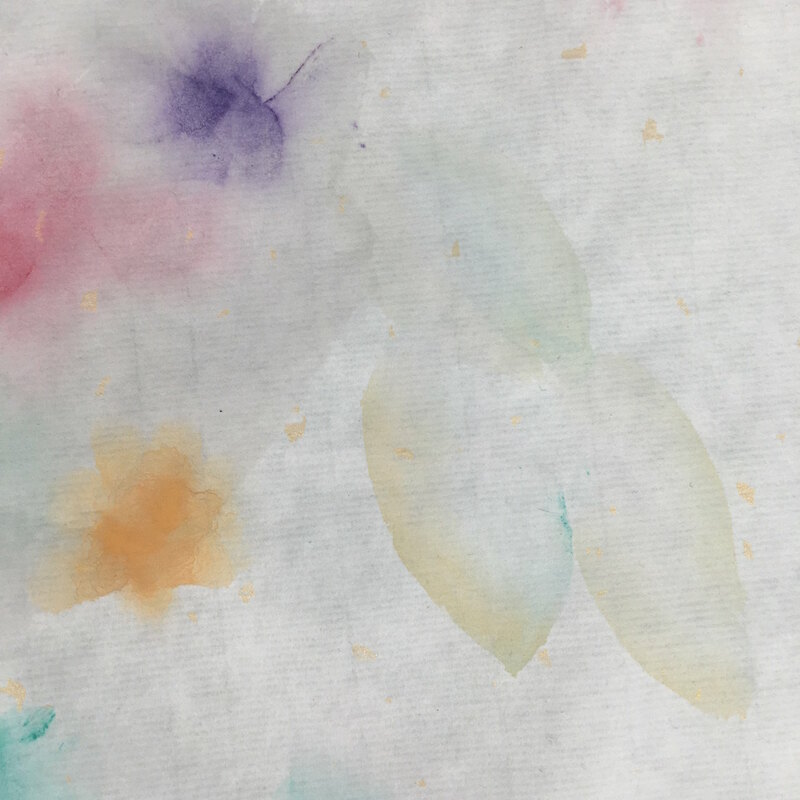 This particular paper is made from grasses/rushes also used in Chinese medicine. 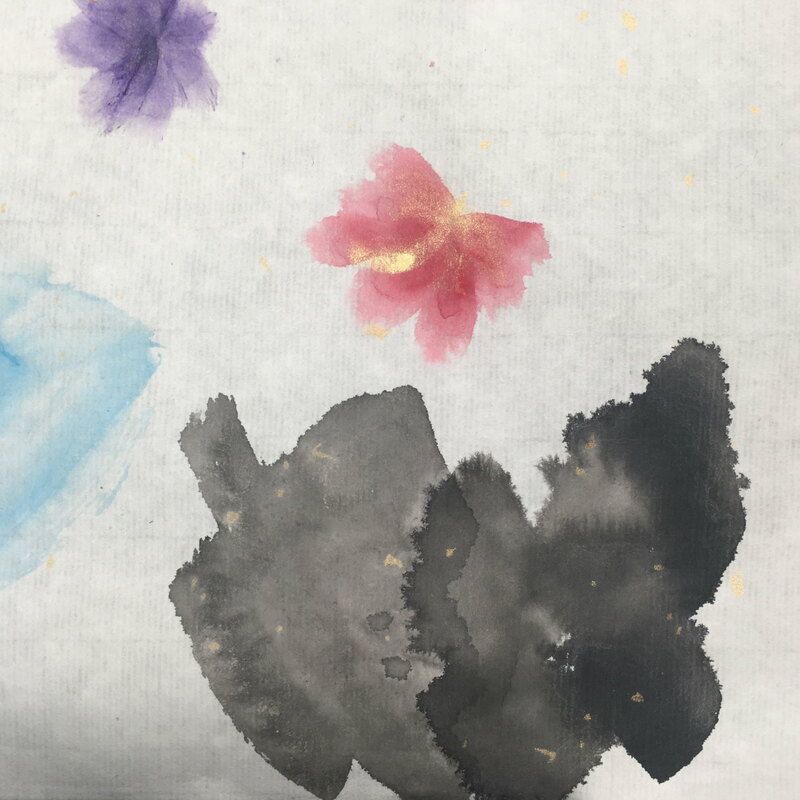 It half sized Xuan Paper (半熟宣 bànshúxuān ‘Half-cooked’) it is deliberately not as absorbent as the tree bark paper, however it is more absorbent than the fully sized paper, so it is adaptable for different styles of painting. Want to decide which type of Xuan Paper suits you best, please refer to Xuan Paper Buyer’s Guide. 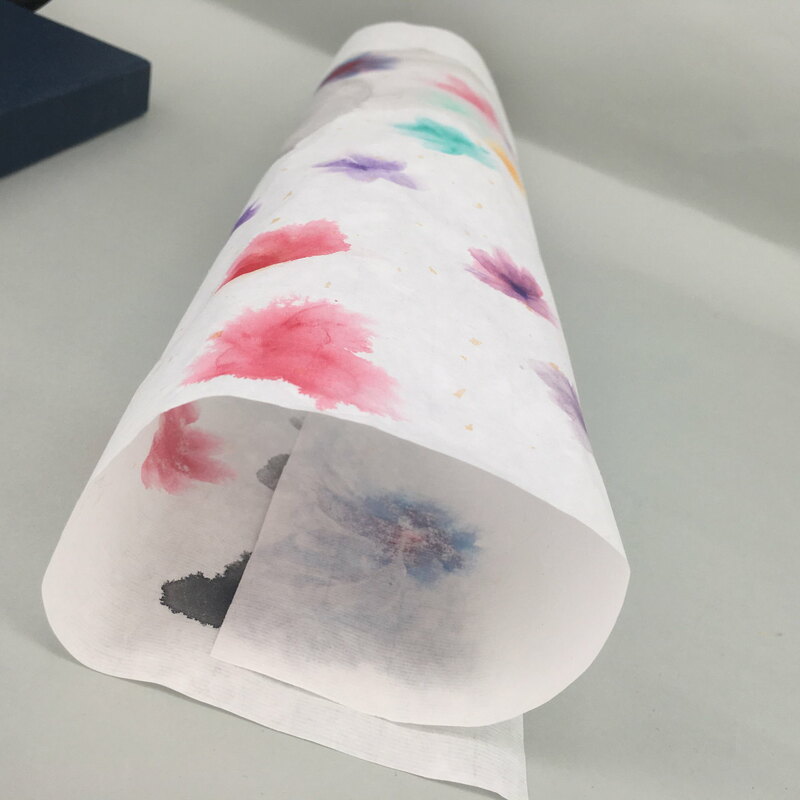 In this video clip, you will see the details of how inkston gold fleck xuan paper looks like after it is painted. The ink and water express very well on the paper. The paper is still very flat and strong. 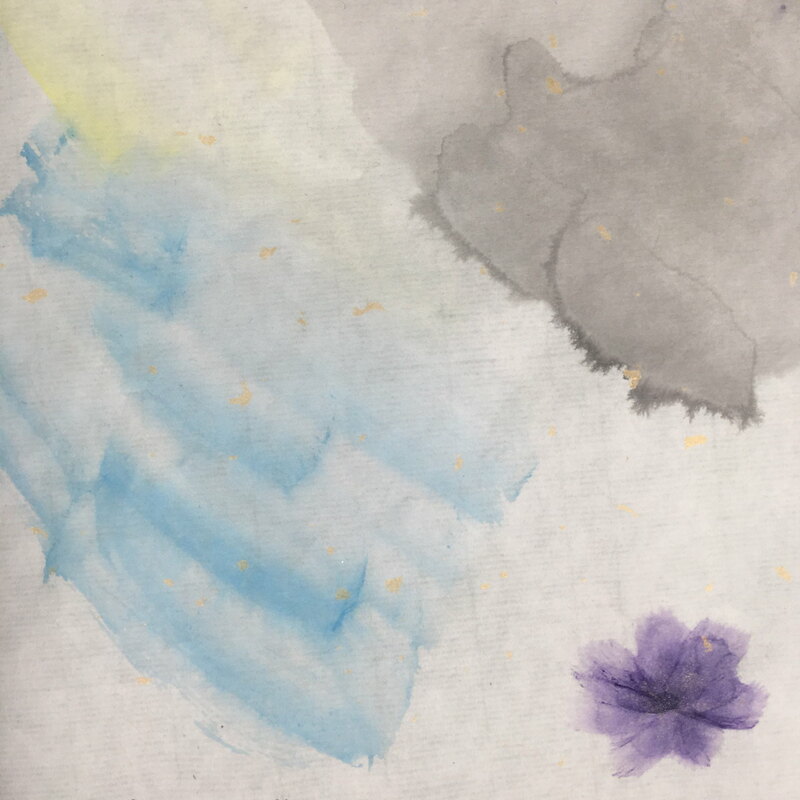 The ink and water do not go through the paper at all. The paper performs quite well for these flowers. 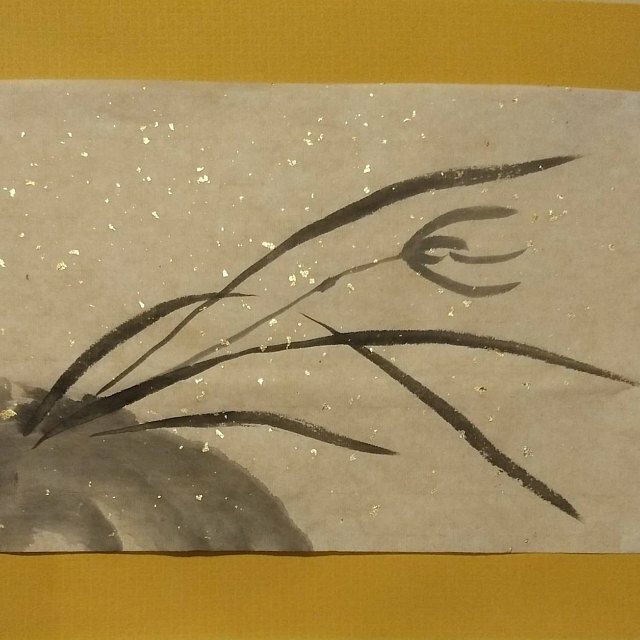 The gold flecks make the painting very elegant and clean. 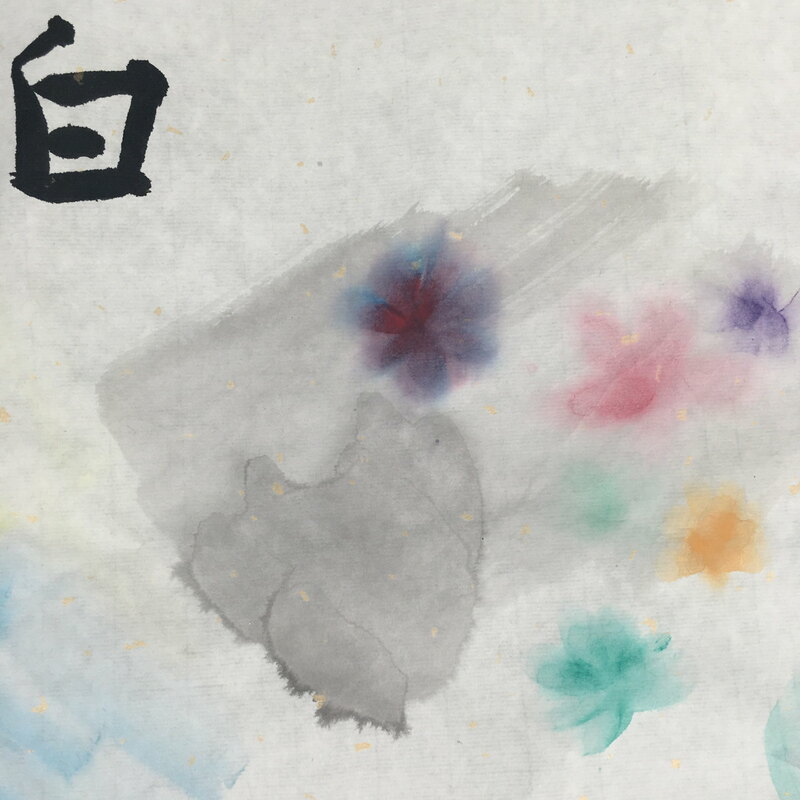 This painting is done by a Chinese brush painting beginner.